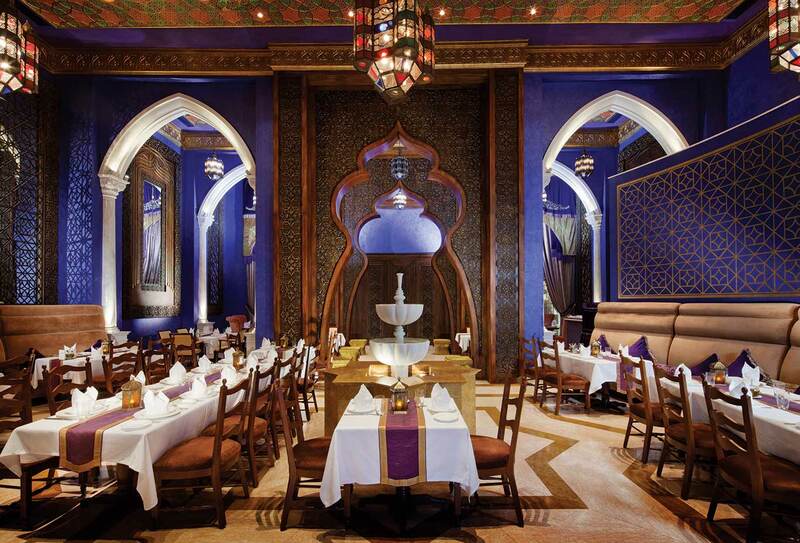 A stay at a Jumeirah resort in Dubai not only provides a luxurious and comfortable base for your Middle Eastern getaway, but also offers fine dining and creative cuisine that infuses mouthwatering Arabic and International flavours - a foodies dream. Book to stay at a Madinat Jumeirah resort, the Jumeirah Beach hotel, the Burj Al Arab or Jumeirah Zabeel Saray and enjoy complimentary lunch or dinner in up to 50 restaurants, lounges and bars throughout the city during your stay. This fantastic dine-around programme enables you to sample the majority of fine cuisine that this innovative city has to offer. From teppanyaki or traditional Lebanese, to succulent fresh seafood or Mediterranean, you'll find a range of dining options and flavours to satisfy. Sample the Pan-Asian delights of Jumeirah Beach's Beachcombers restaurant whilst soaking up the amazing panoramic views of Dubai, visit Jumeriah Etihad Towers for the finest seafood dishes, or how about MJ's Steakhouse at Madinat Jumeriah Al Qasr - a must for meat lovers! Whatever suits your tastes, you won't be disappointed with the fantastic sleection of first-rate restaurants on offer.